Kathmandu is a small place. Even though there are millions of people living here, it sometimes seems like I’m living in a village and everybody knows everybody else somehow or another. The great thing about this is that I often get to see and meet a lot of influential Nepalis. I’ve also found that a lot of influential Nepalis don’t seem to mind meeting others, talking with them, and sharing about the things they do. 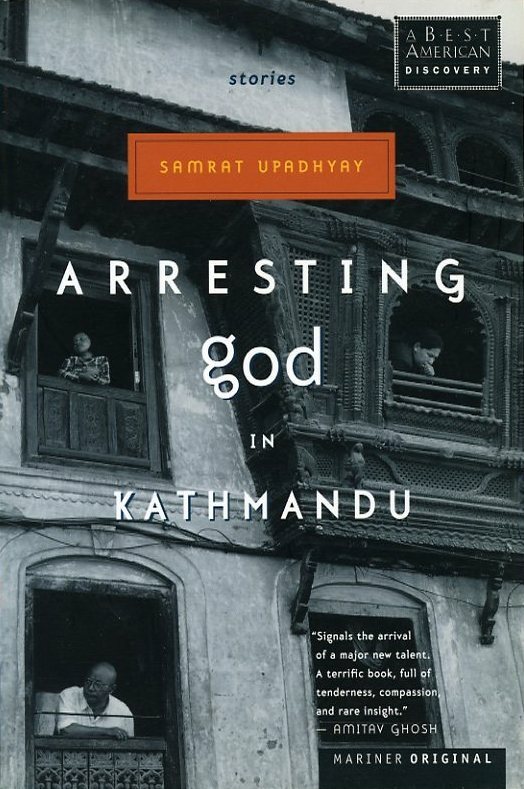 The school that I work at often invites over speakers from different disciplines to talk to students, and today they invited over the award-winning author Samrat Upadhyay, who wrote the book Arresting God in Kathmandu. I didn’t think I would get to have a chance to see him speak, but his lecture fell during my lunch period, so I rushed right over after my class ended. Mr. Upadhyay was born and raised in Nepal but now lives in the US and teaches creative writing at Indiana University. His book is a collection of stories written in English about people living in Kathmandu. I’ve heard Nepalis describe it as both “good” and “weird,” and I’ve always had an interest in reading it but never got around to it. It’s definitely on my list of books to read over my winter break, which started today. I wasn’t able to stay for all of his talk, but I really enjoyed the 45 minutes that I did sit in on. He discussed the ways that living in Kathmandu and then in the US changed and shaped him and how he started to perceive his mother culture in a new and different way after moving to the US. I’ve been thinking about issues related to migration and immigration and how they shape our understanding of who we are. Marrying a foreigner and becoming one myself make thinking about these things almost inevitable. He also discussed his life before becoming a writer and his years attending school in Kathmandu. Before giving the talk today, he said that he told his mother to look for some of his old work and report cards, and he brought one along with him to the talk. I’m not sure what year the report card was from, but he read us some of his grades. His highest score was in something called Moral Science, and his lowest, ironically, in English, getting 55 out of 100. It’s always important to remember that success in school does not necessarily equal success after school or in life in general. I’m lucky enough to have parents who demanded that I try my best but reminded me of this truth. Now that I’m a teacher, even though I’m always trying to get my students to do better and try for higher scores, I must also remind them that there are things beyond grades and school, that good grades do not guarantee or reflect success or creativity or lots of other important things.